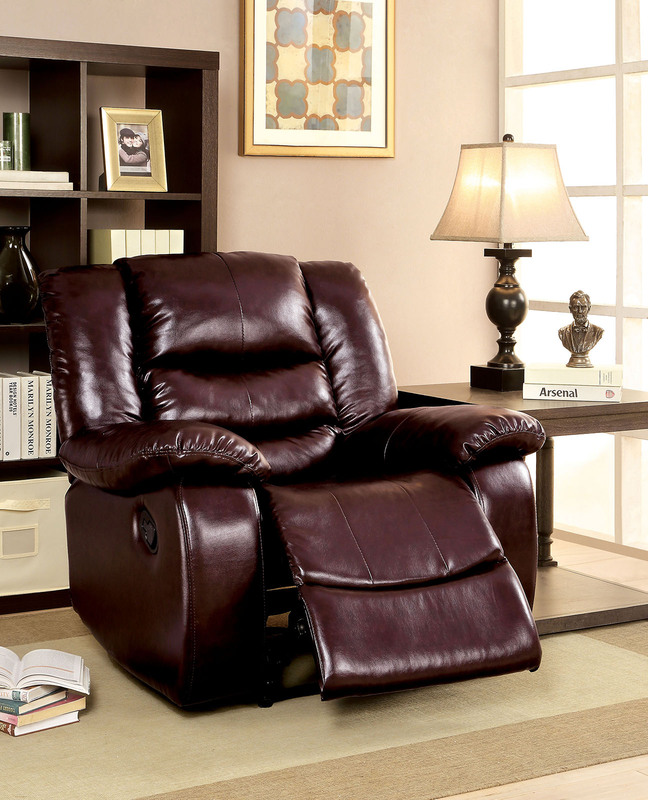 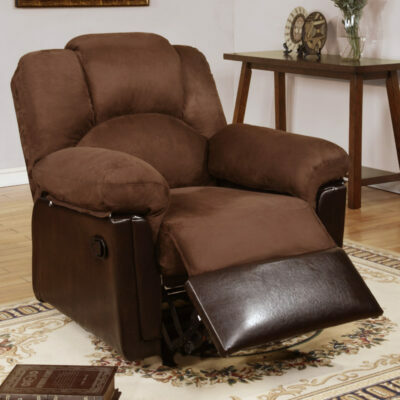 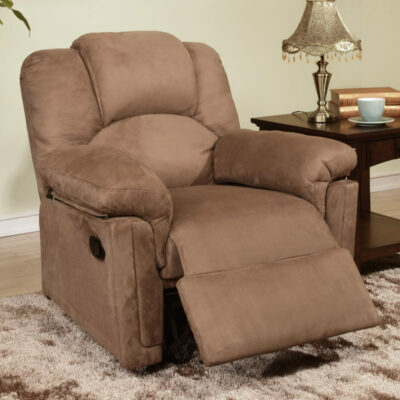 Infuse your home with an essence of relaxation when you incorporate this recliner chair. 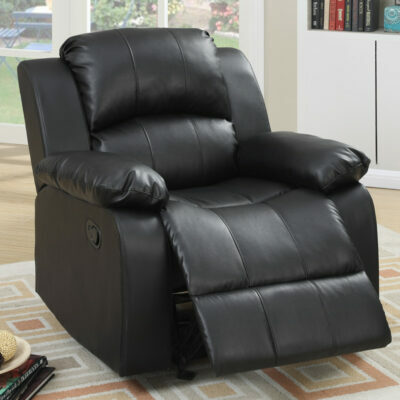 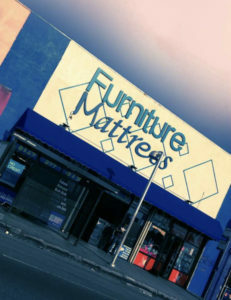 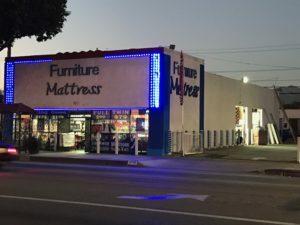 Whether sitting up right or lounging back with the footrest propped out, you are sure to find a comfortable experience with this leatherette upholstered chair with large padded armrests. 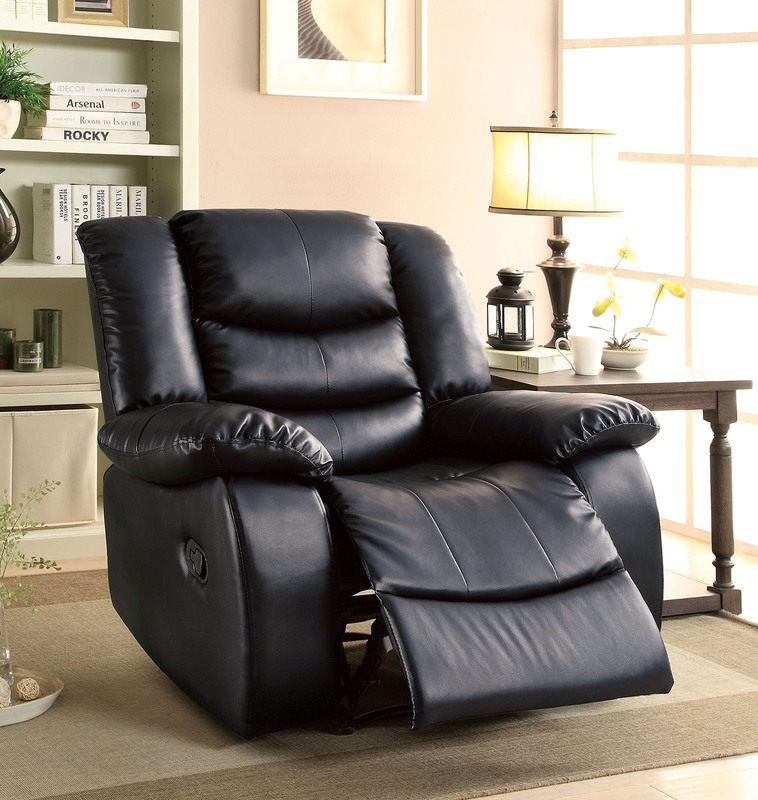 Available in 2 color options.